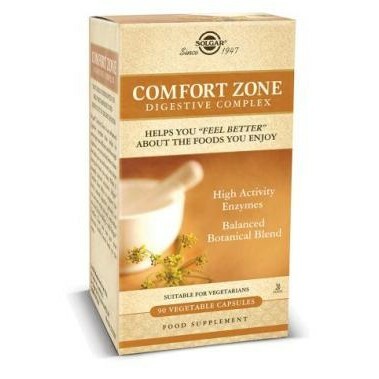 Solgar® Comfort Zone is an advanced digestive complex that helps to encourage more efficient and thorough digestion … so you can feel better about the foods you eat and worry less about having the foods you enjoy. 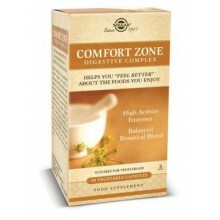 With 11 naturally derived enzymes, Solgar® Comfort Zone helps to support the body’s natural digestive process … so you can turn what you eat … into what you need. Stop avoiding – with Solgar® Comfort Zone you can put your favourite healthy foods back on the menu.